What happens when you want to make some kind of baked good, but realize you don't have any eggs? You go looking through the vastness of the internet to find a recipe sans egg, of course. Because who wants to run to the grocery store when you were just there and forgot to get said eggs? Not this girl. The good news? 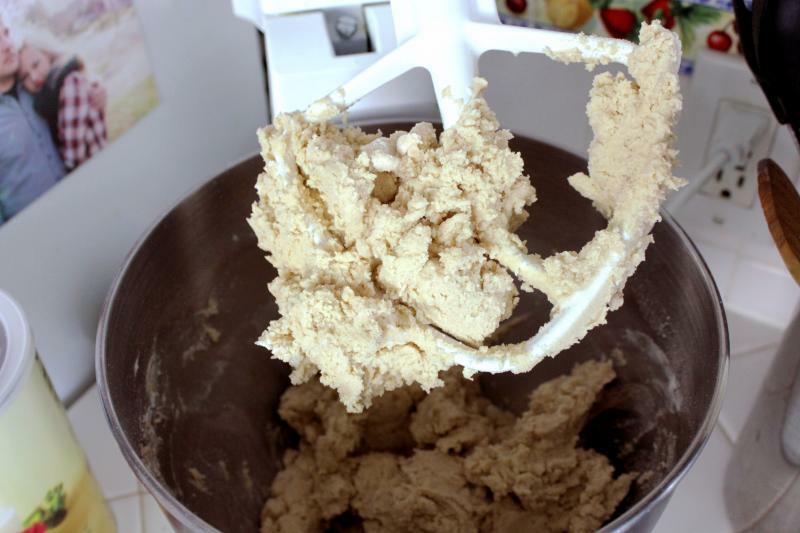 There IS flour, sugar, baking soda, salt, vanilla and chocolate chips in the cupboards. Surely something can be done! 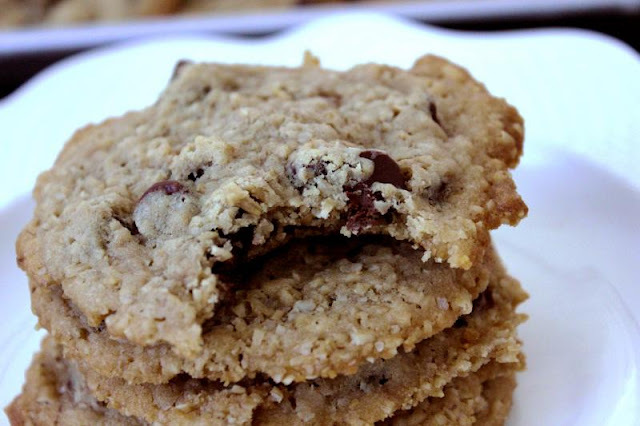 Lo, these egg-less oatmeal chocolate chip cookies! Now, I'm going to tell you straight. 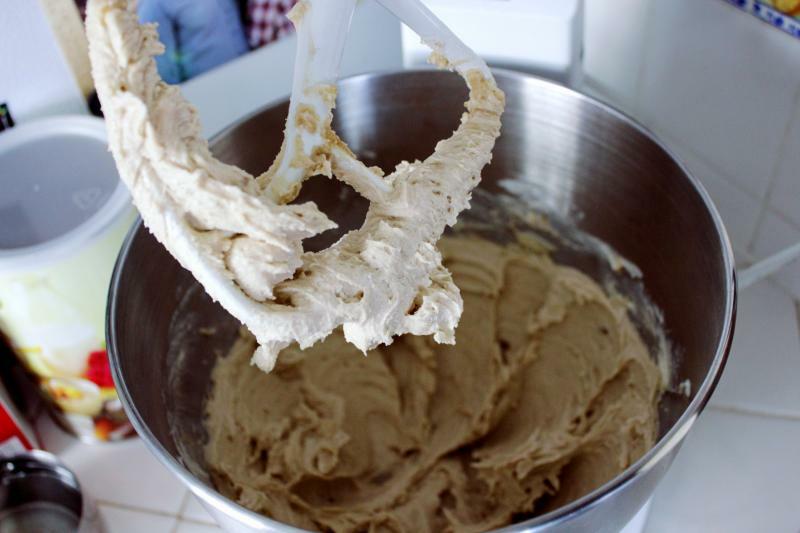 These aren't going to be like your normal cookies. They're a bit flatter, a bit easier to break apart. 'Cause, you know, eggs are a binder after all. But if you bake them just long enough, they will hold together okay. And if you don't, and they start breaking up all over the place? Why, just sprinkle those bits over some ice cream, duh! 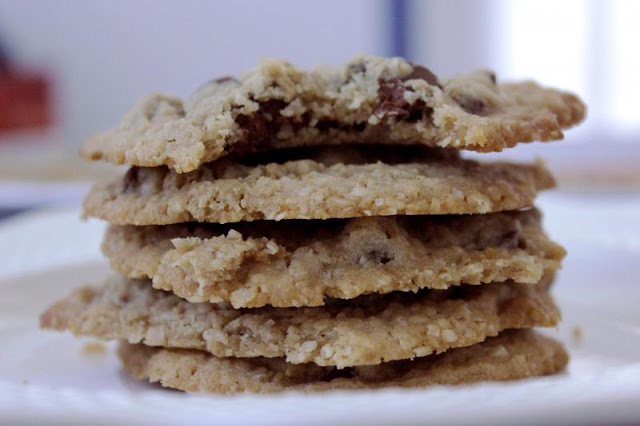 Using quick cooking oats in this recipe gives these cookies a bit more crunch than using regular old-fashioned oats. 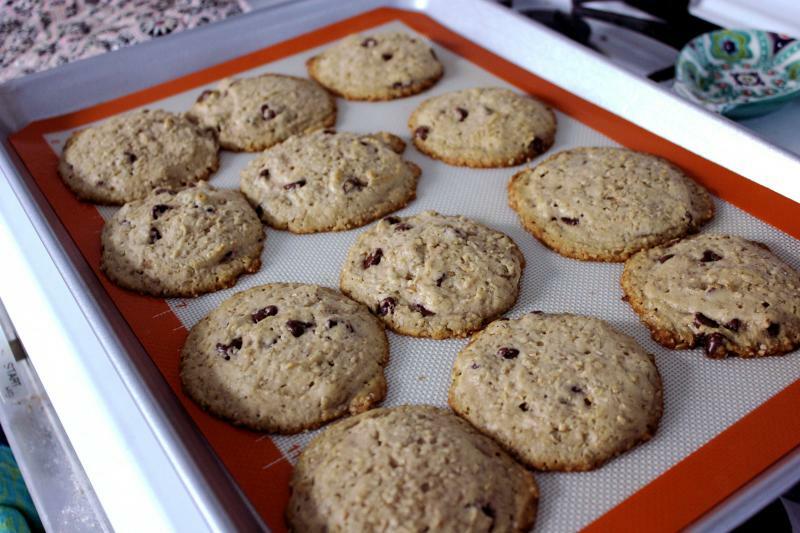 In fact, it will make them just slightly reminiscent of these Lacy Oatmeal Cookies, but not quite as crispy crunchy. 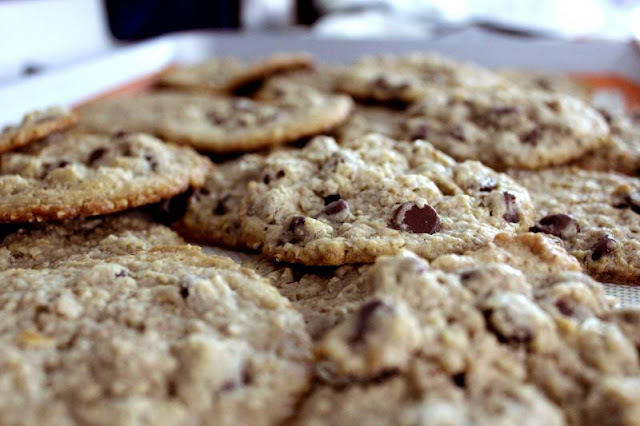 These will make about 3 dozen of these flat, chewy, slightly crunchy cookies that have a nice vanilla flavor without being too sweet. And if you can't eat eggs? More's the better for you! Also? A side note! This is my 500th post on the blog! Wow! Beat together your butter, sugars and vanilla until light and fluffy, about 2 minutes. Add in the flour and salt and mix well. 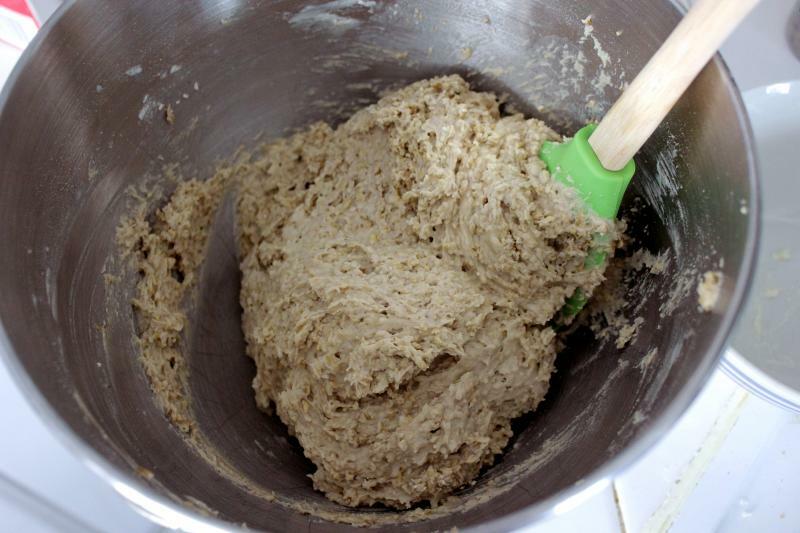 Dissolve the baking soda in the boiling water and add to the mixture, mixing until incorporated. Stir in the oats and chocolate chips. Cover and refrigerate for at least one hour. Preheat your oven to 350F. 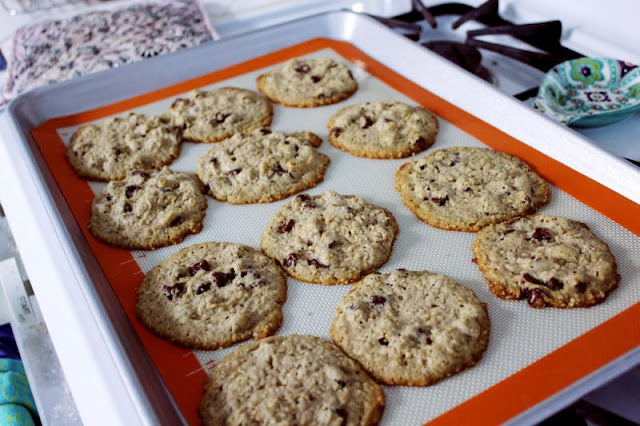 Drop by teaspoonful onto parchment or silpat-lined cookie sheet. Bake for 11-13 minutes until the edges are nice and brown. The middle will still be light in color. Let sit on the baking sheet for an additional five minutes to finish cooking through. Remove to a rack to cool completely. 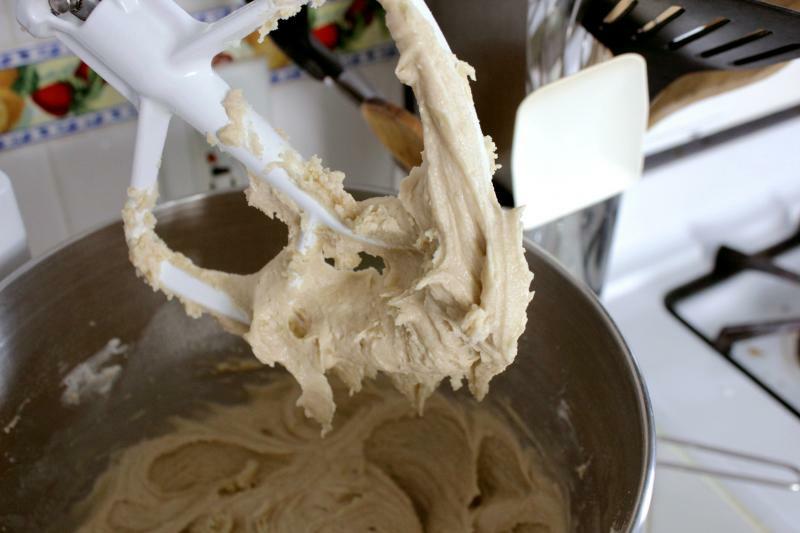 Butter, sugars and vanilla get mixed together. Then you add in your flour and salt. Add in your dissolved baking soda/water combo. And hand mix in your quick cooking oats. 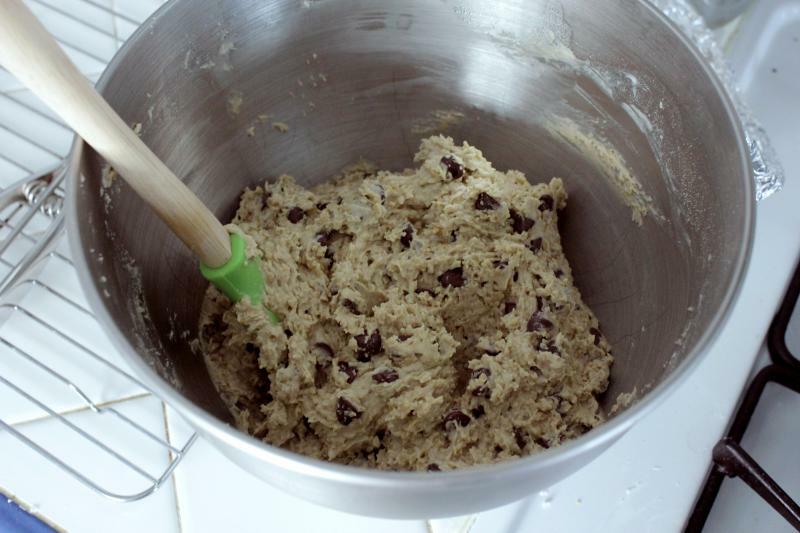 And, of course, your chocolate chips. Cover that and stick it in the fridge for at least an hour. And then preheat your oven to 350F. 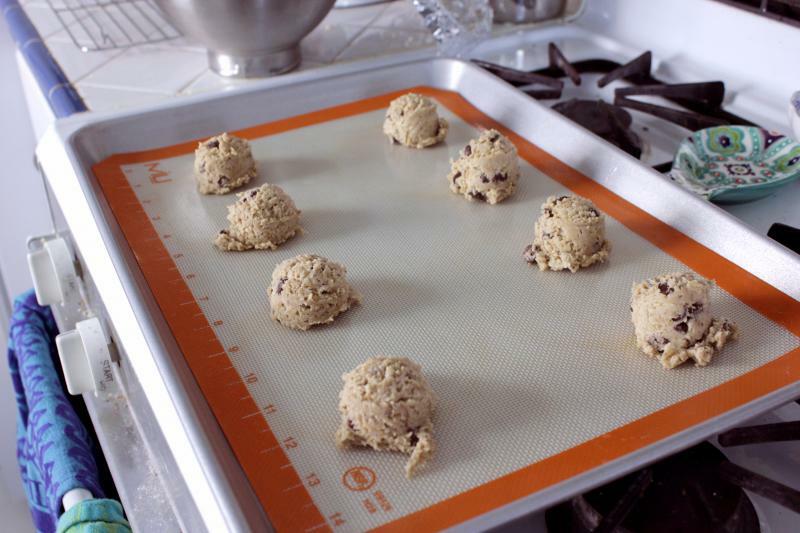 Using a parchment or silpat-lined baking sheet, place your cookie balls and stick that in the oven for 11-13 minutes. As you can see, If it another row in later. They will be browned around the edges, but not super brown in the middle. Let those sit on the pan for another 5 minutes to finish cooking. They will deflate and compact down into this.